It gives me great pleasure to nominate a well known person, popular and respected “in the whole drawing world” for his knowledge, Professor Kazunari Yoshida from Japan for the Professor Marian Schneider Memory prize. Professor Kazunari Yosida graduated from the Tokai University School of Engineering, Faculty of Precision Mechanics in 1976 with the title of engineer and in the year 1978 he obtained an M.A degree in plastic working. In 1982 he obtained the title of doctor at the same university in the field of metallurgy for doctoral thesis “Research on internal crack defects caused by wire drawing”. Results of this research significantly contributed to protection of internal cracks in the wire drawing process and those defects elimination conditions elaborated by Professor Yoshida were applied by research centres and industry all over the World – especially in the production of very thin wires. Since 1982 until now, Professor Kazunari Yoshida is employed at the Faculty of Precision Mechanics of the Tokai University, first as an assistant and then as a lecturer, associate professor and since 1996 as a professor. Since 2001 he works at the King Mongkut’s University Thonburi in Thailand as an advisor in staff training. The Professor’s publication output makes over 200 articles mainly in renowned periodicals in the fields of metallurgy and material science such as: Journal of Japan Institute of Metals, Transactions AIME, Transactions ASME, Transactions of Japan Institute of Metals, Journal of the JSTP, Wire, Journal of Solid Mechanics and Material Engineering, Tets-To-Hagane, Materials Science and Engineering and Wire Journal International. The candidate is an author of 8 publications, including text books and handbooks. Professor Yoshida carried out research in numerous works, not only in copper, steel, gold or aluminium drawing but also on production wire of new materials such as superconductors, shape memory alloys, titanium and magnesium. His publications in these fields influenced wire quality, reduction of its manufacturing costs and application of modern technologies for new products. Professor Kazunari Yoshida has been participating in scientific organisations activities for many years, some of them are: Japanese Wire Drawing, The Japan Society for Technology of Plasticity, The Japan Society of Copper and Alloys, The Iron and Steel Institute of Japan, The Japan Institute of Light Metals, as a management member. 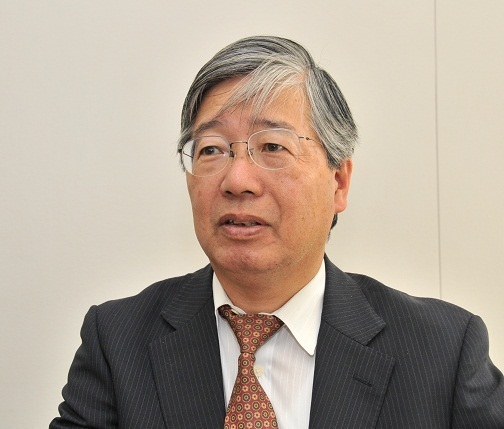 Prof. Yoshida is a promoter of 3 doctoral theses and over 300 master theses. Special emphasis in Professor’s Kazunari Yoshida basic activity should be put on continuous training qualified, specialist technical staff in Japan, in a modern laboratory under his management. During the period 1995-1996 Professor Kazunari Yoshida cooperated with Professor Betzalel Avitzur as a visiting professor at the Leigh University, USA. He also conducted lectures in Thailand and India on plastic working and drawing technology. He has been invited many times to present papers during conferences in Spain, Brazil and Thailand. The candidate often participated in international conferences organised in Poland by the AGH University of Science and Technology in Cracow and the Czestochowa University of Technology. In 2003 Professor Yoshida together with his doctoral students participated in a seminar organised by the Czestochowa University of Technology on modelling of plastic working processes using finite element methods. -Prizes for technology development awarded by the Japan Society of Technology of Plasticity in 1998, 2001 and 2008. -Prizes for the best articles awarded by the Japan Society of Technology of Plasticity in 1985 and the Japan Copper and Brass Association in 1998 and 2008. -Mordica Memorial Award awarded by the Wire Association International in 2011. To conclude my speech, considering scientific and implementation achievements as well as merits in staff training in an international scale, I would like to mention once again that Prof. Kazunari Yoshida wholeheartedly deserves the Professor Marian Schneider Memorial award.